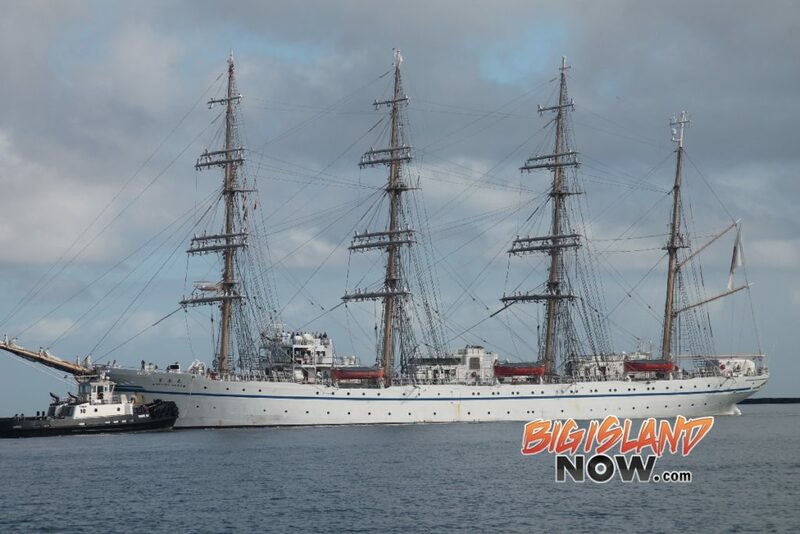 The Big Island of Hawai‘i Gannenmono Committee bid aloha to the Japanese training sailing ship Nippon Maru this morning, Tuesday, Jan. 9, 2018, at Hilo Harbor. 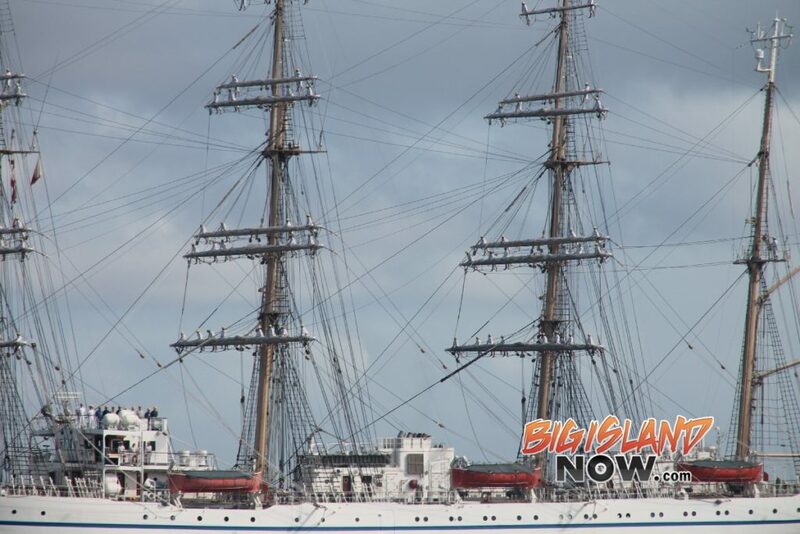 “Nippon Maru” in Hilo Bay. 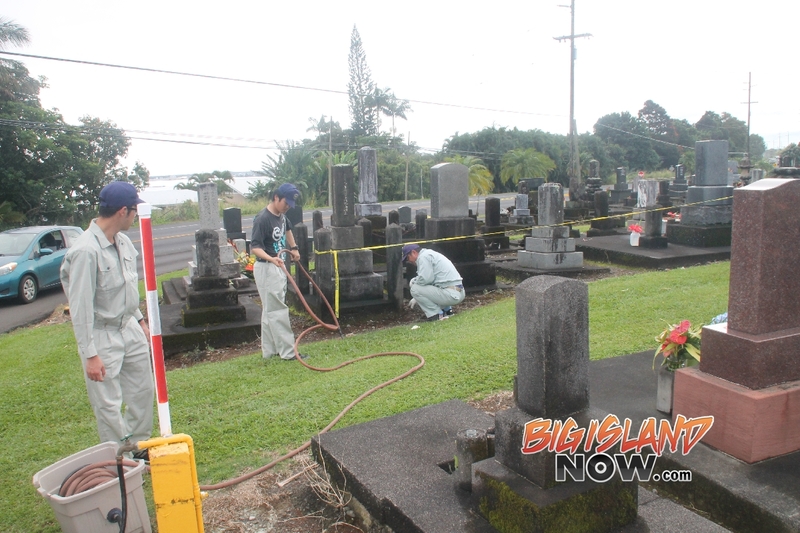 On Sunday, Jan. 7, 2018, the cadets conducted a beach cleanup and also helped tend to some damaged gravestones at Alae Cemetery. Cadets clean a grave at Alae Cemetery. 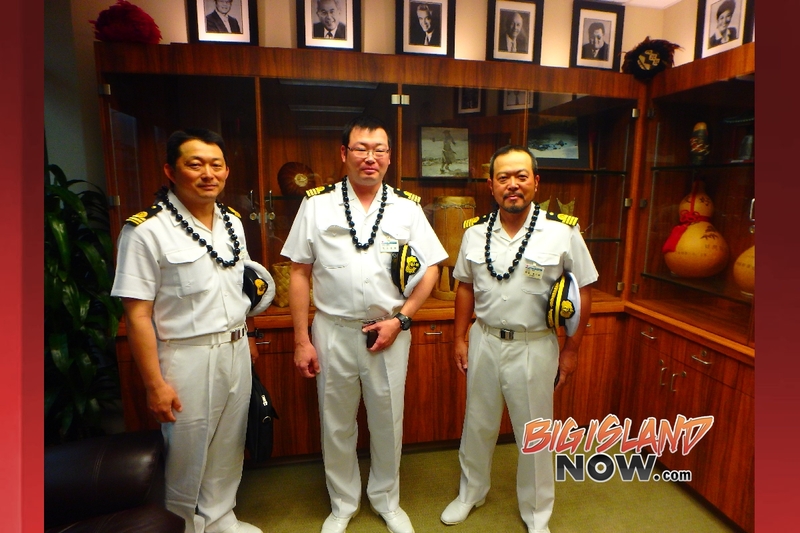 The captain and chief officers of the Japanese training vessel Nippon Maru visited the mayor’s office on Monday, Jan. 8. (L–R) “Nippon Maru” First Officer Atsushi Osaka, Chief Engineer Naoaki Adachi and Captain Shinjiro Abe. Courtesy photo. 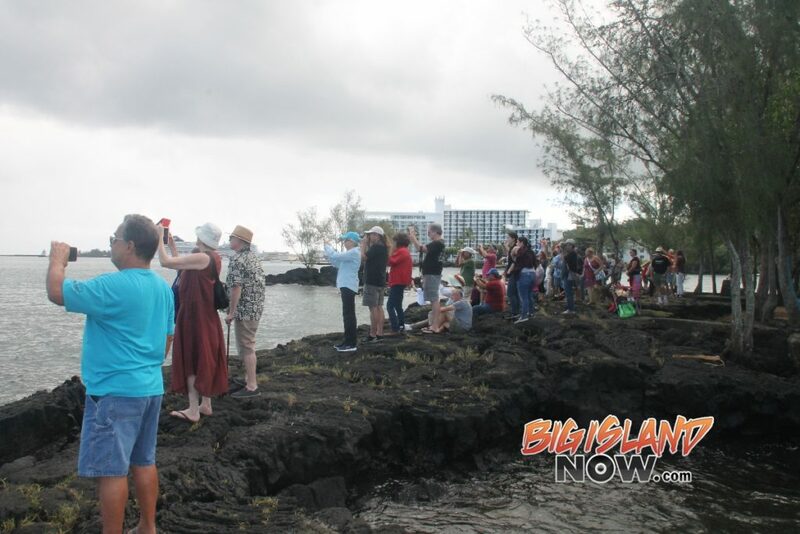 Big Island residents lined the shores of Coconut Island and Hilo Bay on Tuesday, Jan. 9, to catch a glimpse of the four-masted sailing ship leaving the island. The Nippon Maru was built by Sumitomo Heavy Industries in Uraga, Kanagawa, and was launched on Wednesday, Feb. 15, 1984, with its commissioning occurring on Sunday, Sept. 16, 1984. 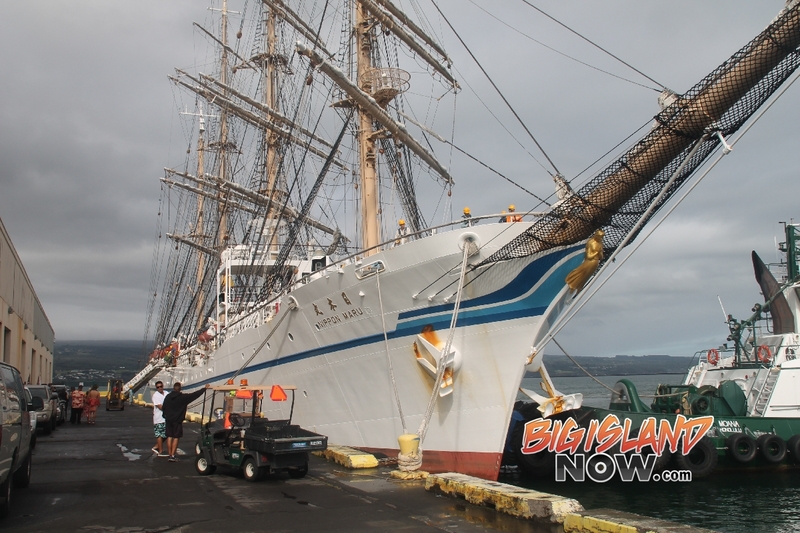 The last time the ship visited Hilo was in 2005. On Saturday, Jan. 6, 2018, members of the Japanese Community Association and other Japanese organizations welcomed the return of the Japanese training sailing ship, Nippon Maru, to the Big Island of Hawai‘i. “Nippon Maru” at Hilo Harbor. 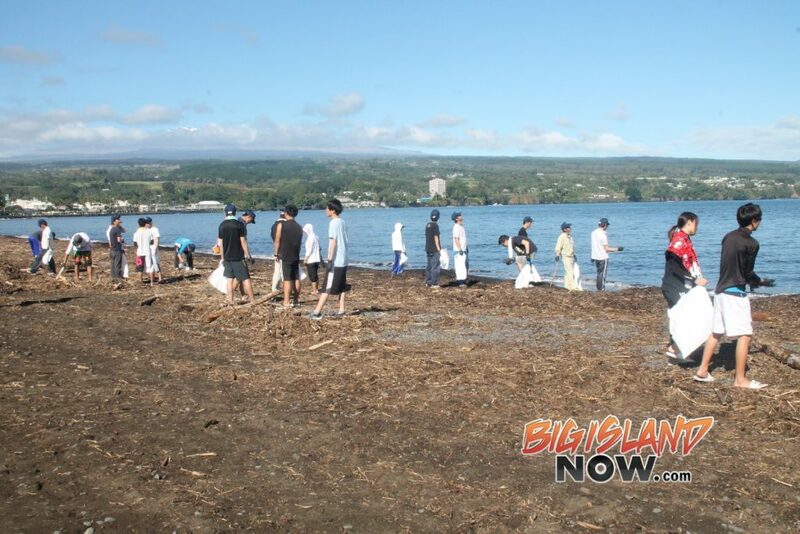 The cadets on the ship spent Sunday, Jan. 7, conducting a beach cleanup at Hilo Bay. Cadets from “Nippon Maru” clean Hilo Bayfront. 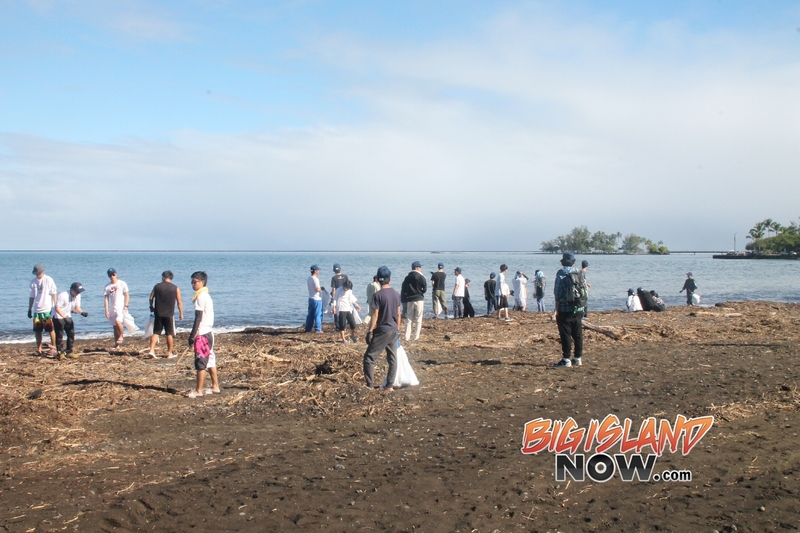 The cleanup was arranged by the Big Island of Hawai‘i Gannenmono Committee, which is celebrating the 150th anniversary of Japanese immigrants in Hawai‘i throughout the year of 2018. Cadet from “Nippon Maru” clean Hilo Bayfront. A few of the cadets also spent some time cleaning up some graves that were recently damaged at Alae Cemetery. 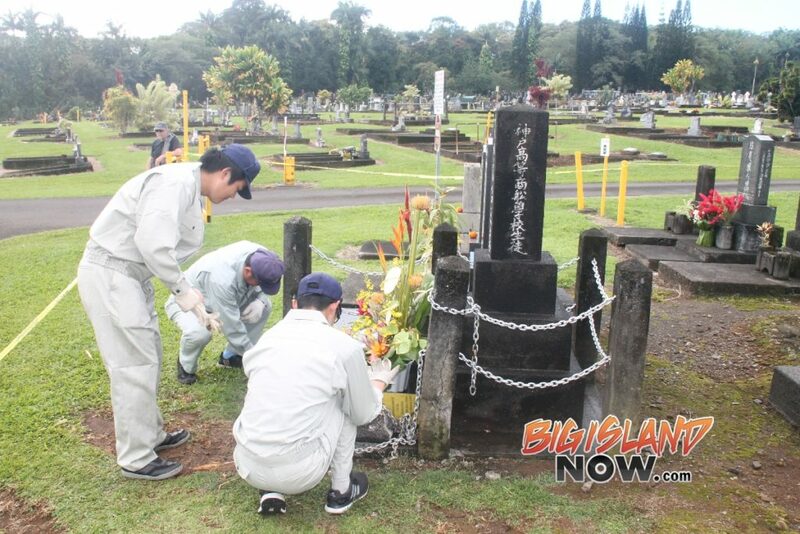 Cadets from “Nippon Maru” assist with a grave cleaning. The damaged plots are located in “Section B” near the front of the cemetery. Alae Cemetery is located at 1033 Hawai‘i Belt Road. 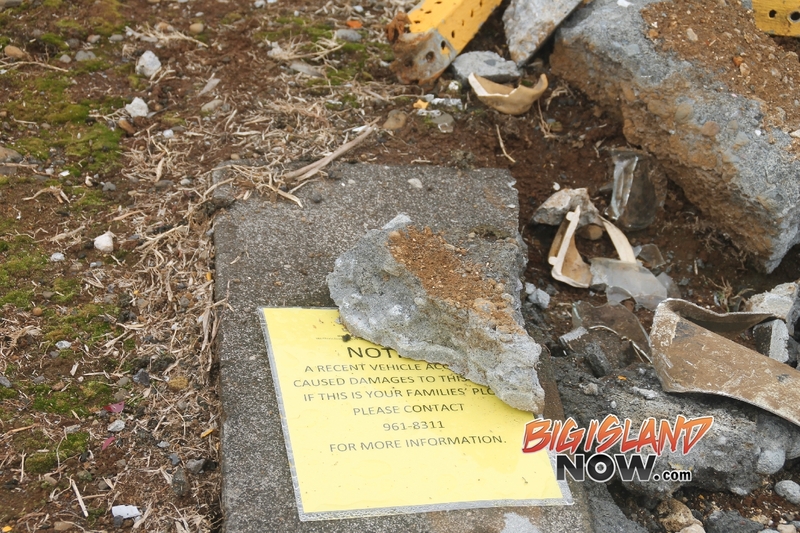 Hawai‘i County Department of Parks and Recreation staff are attempting to contact the families of the damaged/disturbed plots to notify them of the incident. For more information, contact the county Department of Parks and Recreation at (808) 961-8311. 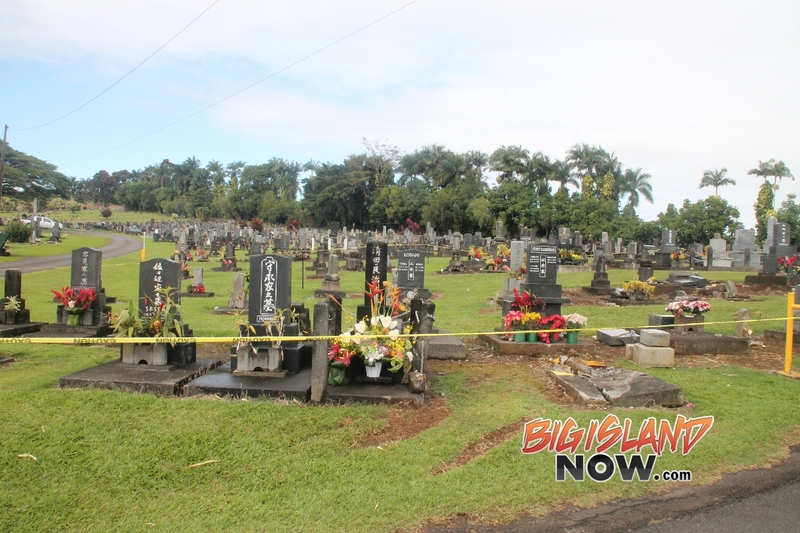 The department is asking families with plots in the area of the incident to visit the cemetery and contact them if they notice damage to their plot. Remarks: At 2:49 this afternoon, Hawaii Fire Department units were dispatched to a possible swimmer in distress. Per the caller, a female swimmer in her late 20s was seen leaving the Wailoa river mouth heading out toward a green channel marker which is located about 1 mile off shore. When the caller lost sight of her, the caller became concerned and called 911. After a 35 min. search, Chopper 1 located the swimmer and deployed a rescue swimmer. The patient was taken to shore via Billy Pugh net. The exhausted swimmer refused medical attention. This is a Civil Defense sewage spill information update for Wednesday April 5 at 3 PM. The Department of Environmental Management reports that water quality levels in the spill area have returned to normal. The Department of Health confirmed that all Hilo Bayfront area beach parks can now be opened. The County is mobilizing to open up the area at this time. Thank you for your cooperation and understanding throughout this incident. Have a safe day. This is your Hawaii County Civil Defense. Hawaii Wildlife Fund (HWF) and Laupahoehoe Public Charter School’s sixth graders teamed up to spruce up Hilo’s bayfront on Friday. This cleanup was in preparation for Sunday’s Ocean Day Mālama Kanaloa event. In only one hour, 10 students and 5 adults managed to remove 1,082 pieces of trash from the bayfront – approximately 55 lbs in 2 bags. The crew mostly picked up land-based trash including lots of cigarette butts along with some more interesting finds like a cow bell, a shaving razor, and several small bundles of derelict fishing nets. A 6th grader, from Laupahoehoe Public Charter SChool (LPCS) removes a large tire from Hilo’s bayfront on Friday, March 7 during a beach clean up with Hawai’i Wildlife Fund. To learn more about regular beach cleanup opportunities on Hawai‘i and Maui Islands, please contact HWF at kahakai.cleanups@gmail.com or see our website at www.wildhawaii.org.